Michael Jordan is famous for saying, “Talent wins games but teamwork and intelligence win championships”. At Small Wins, our mission is to act as spark plug in non-profit settings. We specialize in leading strategic and operational planning meetings, building and implementing complex fundraising plans, and coaching development professionals to exceed professional and organizational benchmarks. We believe this is achieved through passionate collaboration, honest discussion, and calculated innovations. We work to support time bound goals and projects by providing analytical insights, building on your internal strengths, and asking questions which help your team get excited about the small wins on the horizon. Pelotonia has established a strong regional and growing national reputation for their annual bike ride in Ohio, aptly named Pelotonia. In response to a growing demand for satellite ride locations, Pelotonia wants to invest in building a comprehensive event manual which can be sold to potential partners and facilitate their event replication. The goal of this engagement was to develop the Pelotonia Event Manual and Toolbox. Learn more about this team with ONE GOAL at www.pelotonia.org. The primary initiative of the Chris Long Foundation is Waterboys, an innovative player led initiative started by NFL defensive end Chris Long in 2015 that brings players from around the league and their fan bases together to raise money and provide awareness for clean water through social media, events and awareness campaigns. Waterboys sought out the help of Small Wins in an effort to formalize their development structure and processes and create scalable, national development campaigns. In just two years, Small Wins has helped Waterboys raise over $2.5M and fund 53 wells, and expand into the NBA with their newest program, Hoops2o. In 2017, Small Wins partnered with Fight CRC on a number of projects. Most notably, Small Wins was asked to collaborate with a team of consultants to deliver a comprehensive three-year strategic plan that identified a new North Star for the organization and offered a framework for growth. Through this engagement, Small Wins played a leadership role in spearheading a 2-day strategic planning meeting to guide the Staff through a “theory of change” process, conduct an organizational audit, and unearth opportunities to improve operations and program/development delivery. The team of consultants delivered a Board level report that detailed key recommendations in five functional areas and outlined year-over-year key performance metrics that Fight CRC’s leadership team could use as a guide in their annual operational planning. In the months following this engagement, Small Wins then partnered with the staff to develop a comprehensive operational plan for the Philanthropy department. AACR Foundation had established a strong events portfolio, which leveraged event diversification, geographic reach, and highly visible partnerships. Small Wins was brought in spark innovation in the areas of staff management and strategic planning as the team refreshed their approach participant recruitment and fundraising. Small Wins spent extensive time coaching the AACR staff on fundraising tools, templates, and outreach tactics and helping each contributor build a roadmap for the 2017 work plan, which could be use to model their 2018 events and goals. Athletes for Hope (AFH) was looking to identify and engage the next generation of professional athletes across the MLB, MLS, NBA, NFL, NHL, NWSL, WNBA, and the Olympic and Paralympic movements to advance sport philanthropy. With our sights set on delivering impact in the most collaborative and cost-effective way possible, we hosted a video conference call with over 20 athlete-influencers to share learnings on social movements and secure feedback on how they would like to maximize their collective philanthropic impact. We continued to grow and engage this group throughout the rest of the calendar year along a philanthropy pathway where the athletes were in the drivers seats to determine what other organization’s to partner with and how to move the needle on today’s most pressing issues. 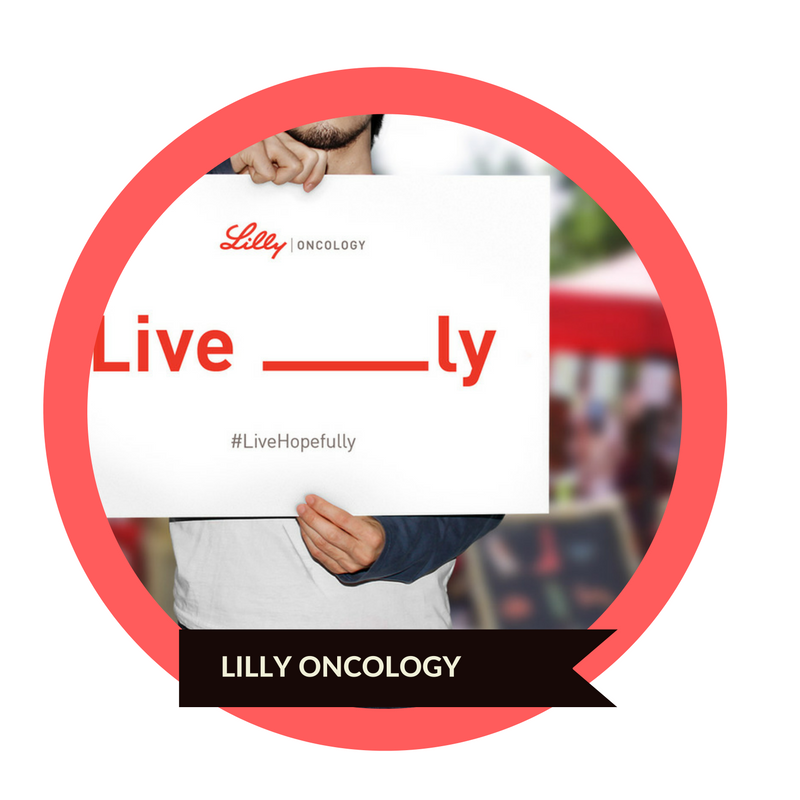 Lilly Oncology works with leading patient advocacy and medical organizations to help raise awareness about cancer, educate the public, support cancer research, and influence change in public policy. Through their national non-profit partnerships, the team identified room to improve how they messaged, branded, and executed an engagement strategy during these event opportunities. After a series of stakeholder interviews and on-event research, Small Wins presented 3 marketing systems that delivered a more consistent experience (regardless of event format) and could be tied back to the team’s KPIs. Autism Speaks was experiencing a slowing in their Team Up endurance event portfolio and hired AnneMarie to attend their 2017 strategic kick-off meeting. Prior to the meeting, Autism Speaks shared historical data and event summaries. With this additional level of detail, AnneMarie was able to uncover and present thoughtful analysis, trends, and discussion questions which supported an innovative and idea-generating discussion on where and how to prioritize financial and human resources. 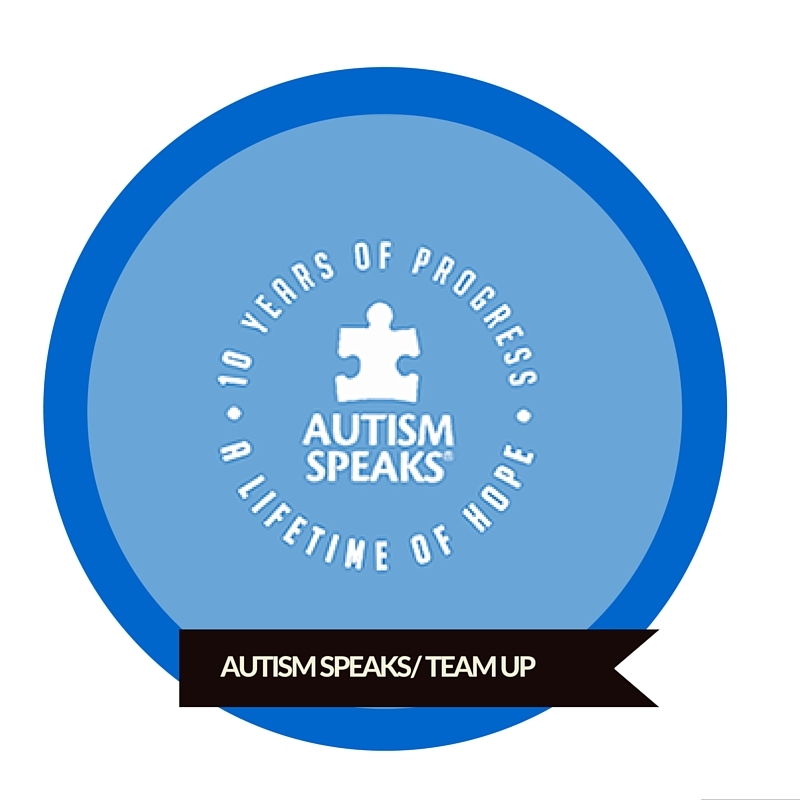 Support TeamUp at www.autismspeaks.org. AnneMarie managed the events portfolio at LIVESTRONG during what some would call the peak (2009 – 2012) and the valley (2013-2015). From the time Lance Armstrong returned to professional cycling and following the resignation of LIVESTRONG‘s long-time CEO Doug Ulman, AnneMarie helped the Foundation and the Events navigate times of extreme growth and contraction, while consistently hitting revenue and participant metrics and mentoring a skillful team of colleagues. Managing through this type of change has given her a unique perspective on event management and effective fundraising event investments, as well as a critical eye toward the power of messaging on fundraisers and event performance, the impact of managers on team empowerment and morale, and the honest assessment of event lifecycles. You can keep up with the current Team LIVESTRONG schedule at www.teamlivestrong.org. The landmark program of the CATCH Global Foundation serves more than 10,000 children in schools across the U.S. by enabling them to identify healthy foods, and by increasing the amount of moderate to vigorous physical activity (MVPA) children engage in each day. As the program has grown and more schools are looking to sustain their programming, CGF engaged Small Wins to conduct a fundraising feasibility assessment which would help them accurately evaluate whether an in-school fundraising model was feasible, what format would be most impactful to schools, what level of fundraising is possible at community sites and whether the organization should make an investment in Phase 2 to pilot a fundraising model. Generation Serve is a fast growing non-profit in the Austin community. After bringing on their first Development Director, they hired Small Wins to help support her professional growth and provide her valuable fundraising feedback and discussion. The partnership resulted in a highly organized and measure EOY campaign and an innovative new Welcome Series. This relationship expanded into organization-wide support when Small Wins was contracted to co-develop a retreat for Board and Staff to plan for 2019 (and beyond)! Impact Austin (IA) empowers women philanthropists to invest in their community. After a successful first 15 years, IA’s leadership, as led by the Board and key volunteer members, were looking to update the organization’s vision with a goal of growth and sustainability for the future. Together, Small Wins and the IA Visioning Team conducted a one-day retreat which pushed this stakeholder group to ‘dream big’. Out of this discussion and brainstorm, Small Wins delivered a new vision, mission, and values messaging document and a vision framework with strategic set of recommendations for 2019 operational planning. Small Wins partnered with Rockbridge, Pelotonia, and The Columbus Partnership to support the transition of an event into its own unique entity, while adding strategic and operational bandwidth as the new organization was built out. During our engagement, Small Wins helped RTRX by conducting a 45-day event audit, building organizational models, developing a Staff transition plan, and participating in a 2-day strategic planning retreat to help clarify vision, mission, and goals over the next 2 years. Follow RTRX’s progress here! In January of 2018, Small Wins collaborated with Melissa Stewart Consulting to deliver a half day change management training to the staff at Capital IDEA. The scope of the project included an assessment of the current organizational culture, development and facilitation of a half day training around organizational change management and frameworks which support behavior change and a post-meeting debrief with leadership to offer recommendations for ongoing staff support using the methodology. The Tom Lea Institute is a non-profit organization dedicated to documenting, presenting, teaching, and exhibiting the works of Tom Lea. Through its digital library, curricula, public programs, exhibitions, and publications, the Institute reaches audiences of all ages and encourages the exploration of regional art, history and culture. After a year of internal focus and organizational assessment, the Executive Director, with the Board’s approval, was seeking consultative services to lead the Board and Executive Director through a strategic planning meeting at an off-site retreat. AACR came to Small Wins with an idea for launching a new fundraising event but without a defined path of how to determine whether their idea was viable. Over the course of 2015, AnneMarie worked with AACR to build Spintensity’s business model to align with the required organizational return. She also acted as a strategic advisor on developing their go-to market timeline, provided feedback on leveraging technology to support their goals, and offered guidance on putting a team in place to successfully execute the event. 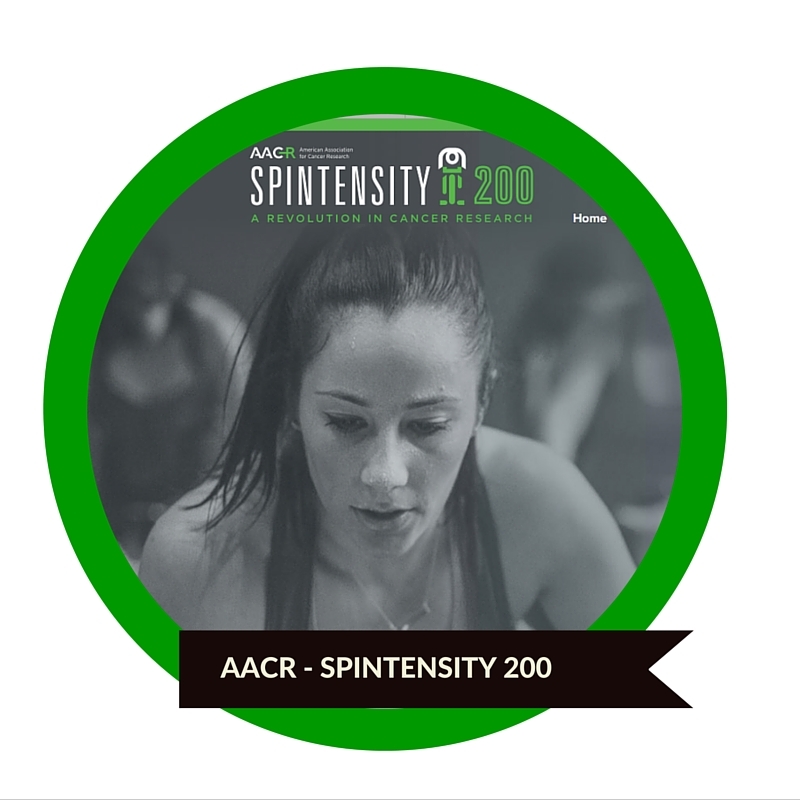 You can learn more about AACR’s newest event at www.spintensity200.org. To kick-off the 2016 SXSWi week, Umbel hosted a series of thought leadership panels at the iconic ACL Live at the Moody Theater. With speakers coming from IBM, Johnson & Johnson, AEG Live, Theory, and Rag&Bone (among many more), attendees heard from experts who used big data to influence their industry and drive results. 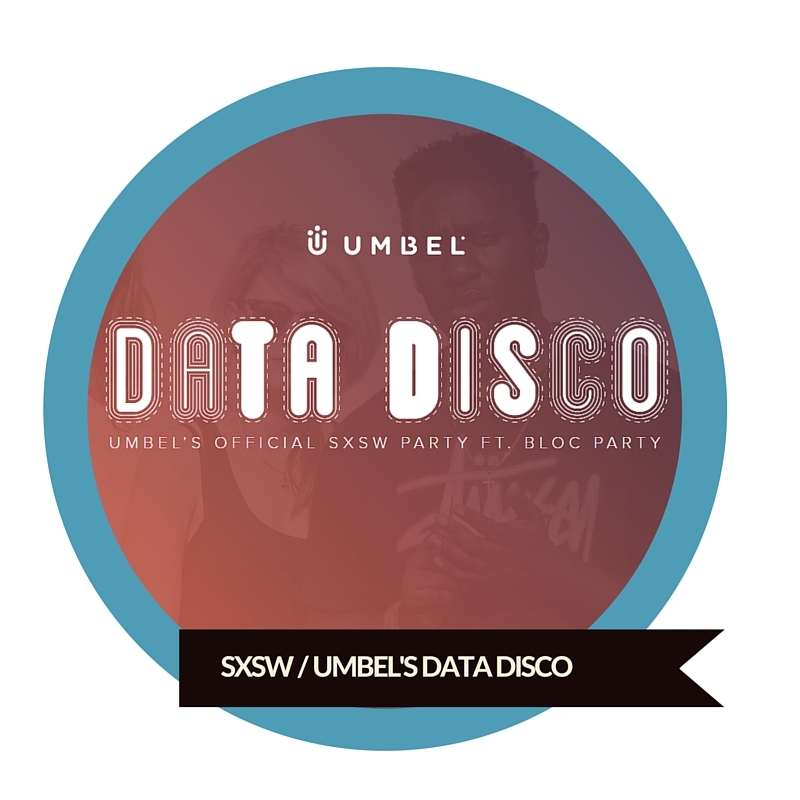 That evening, Umbel dropped the formalities and hosted a #DataDisco, featuring Bloc Party. Travis Audubon is governed by a 12-person Board of Directors and managed by a full-time Executive Director. Many of the programs and activities are organized and led by a dedicated, experienced, and highly skilled corps of volunteers. In collaboration with Melissa Stewart Consulting, Small Wins facilitated a board retreat in September 2018. The goal of the meeting is to operationalize their existing strategic plan (2018-2020) and create actionable steps, priorities, goals and metrics to track toward progress and success. After the project, both the Board and the Executive Director gave high praise on how the retreat was run and what outputs they were able to achieve in just a half day’s time.